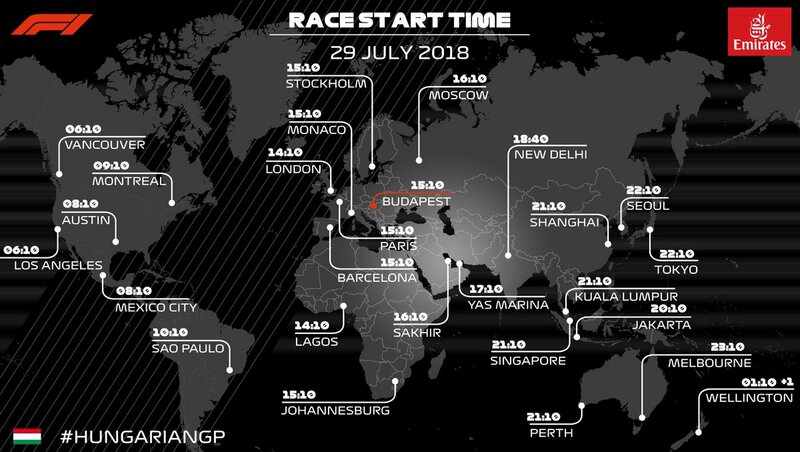 Saturday afternoon in the pouring rain, Lewis Hamilton claimed Pole position for the 2018 Hungarian Grand Prix after Topping qualifying at the Hungaroring in Mogyorod. Team mate Valtteri Bottas made it a 1-2 for the Silver Arrows by out-qualifying Ferrari’s Sebastian and Kimi Raikkonen after a dramatic and rain-soaked Q3 session. Mr. Vettel had begun the day by winning the 3rd and final practice run, before finishing fastest in Q1 and Q2. However, a heavy downpour evened the playing field for MercedesAMG, who could not keep pace with Ferrari (NYSE:RACE) cars in the dry conditions.